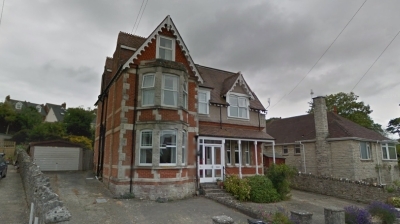 Purbeck District Council: Pure Town Planning are delighted to announce that following a lengthy application process and extensive consultation, we have secured planning permission for the conversion of a large dwelling into five flats with an additional detached dwelling at Swanage in Dorset. 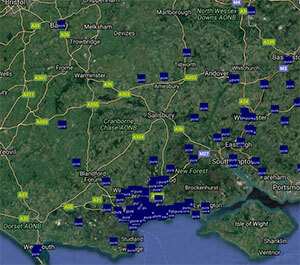 The approved scheme involves the redevelopment of the site within the Swanage Conservation Area. The approval will undoubtedly breathe new life into this site and surrounding streetscene whilst providing additional housing stock in this much sought after location close to Swanage Town Centre. This large detached 7 bedroom dwelling was in a continuing state of disrepair and its upkeep was proving to be a significant strain on the owner due to the desperate need of modernisation and improvement. The proposal includes the conversion of the existing Victorian dwelling into 5 self-contained residential flats with additional rear extensions. In addition to this, the application also proposed a new two storey detached dwelling set to the rear of the main house. Following rigorous and comprehensive consultation between Pure Town Planning and the respective Planning Officer, the scheme was repeatedly revised in order to address any and all concerns with regard to the proposals impact on not only the neighbouring properties but also the visual impact on the wider Swanage Conservation Area. Despite the Planning Officer deeming the scheme to be acceptable on all fronts, along with neighbouring letters of objection, both the Swanage Town Council and the Council’s Design and Conservation Officer objected to the proposal and the application was subsequently brought before Planning Committee. 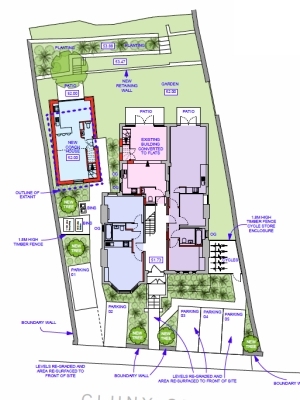 In the midst of a lengthy planning committee, Pure Town Planning put forth to members that the proposal would comprehensively transform this site providing 6 residential units whilst substantially improving the landscaping and amenity spaces to the front of the site to the betterment of the Cluny Crescent streetscene and the conservation area. Following this, committee members recognised the clear merits of the proposed scheme and how it would provide much needed housing stock in a comprehensively designed and attractive scheme which would re-energise the site and create a positive contribution to both the site and the wider Cluny Crescent locality. As such, the proposal secured almost unanimous support from committee members and the application was approved. As you can see, here at Pure Town Planning, we like nothing more than securing our clients planning approvals. If you are working on a residential development and are looking for a firm who will work tirelessly to steer your application through the planning process, or have a scheme being brought before Planning Committee and require professional representation, then why not give us a call or send us an email to info@puretownplanning.co.uk.